Delhi Chief Minister Arvind Kejriwal launched the doorstep of 40 services in Delhi today. On the launch of these services, Delhi CM said this a revolutionary historic step. He said that people always heard of pizza being home-delivered. But, now people can access the government with one dial and the government will come to their home. Well… Arvind Kejriwal is unaware of the fact that Rajasthan government is far ahead of implementing this home delivery services to the people of the state. Know more. 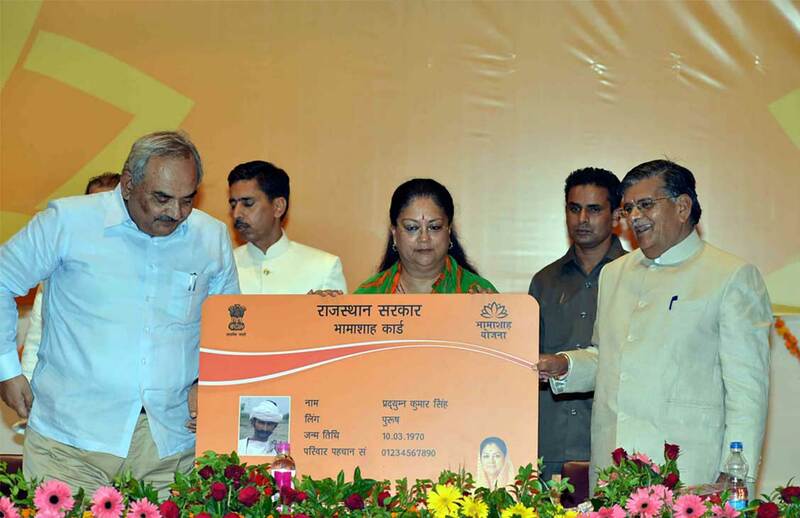 Rajasthan government has launched Bhamashah scheme back in 2014. It is first direct benefit transfer scheme. With this scheme, the monetary and non-monetary benefits are being transferred to the people. The vision to provide online government services to the people, Vasundhara Raje government has recently come with Bhamashah Digital Parivar Yojana. This scheme will not only make Rajasthan Digital but also make people to avail Rajasthan government services like eNAM, Raj Sampark, RajNet, eSakhi, banking services and many more with few clicks. Although India dreams of digitalization while Rajasthan as been a frontrunner in the race. Due to the continuous efforts and farsightedness of CM Vasundhara Raje, Rajasthan is able to provide facilities at the doorsteps. To avail the services by AAP government, one can dial 1076 to place a request. Under this, services like ration card, passport help, income certificates, driving licence, caste certificates, domicile and duplicate registration papers can be home-delivered from now. Previous articleRajasthan CM Vasundhara Raje announces a 4% VAT reduction on Petrol, Diesel; Big Relief for Rajasthanis. Details Here! Next articleAyushmann Khurana’s ‘Badhaai Ho’ promises one thing – it will tickle your funnybones. Watch the edgy trailer!